A NEW $50.00 ANNUAL MEMBERSHIP FEE IS NOW REQUIRED active Simpson and Green Diamond employees exempt. located under permit tab. Reservations for the main campground, group camps and picnic shelters will be available after March 1st online at www.masonlakecamp.com. We hope you have a safe and enjoyable stay. 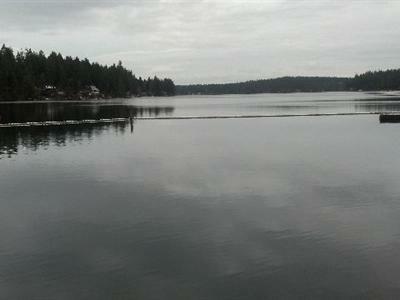 Mason Lake, one of the largest in the county, is open year-round for fishing. Kokanee is the best catch during the summer, and largemouth bass, yellow perch, and brown bullhead catfish are also found. Laze on the beach or splash in the freshwater waves. Boating, water skiing, canoeing and jet skiing are popular on the sparkling mountain lake. Test your skills at nearby river rafting, biking, fly fishing, hunting and golf. When it comes to employee perks, Green Diamond Resource Company offers an outstanding one. The fifth-generation, family-owned forest products company has designated Mason Lake Camp in Grapeview as a beautiful retreat just for its workers, retirees and guests. Majestic trees tower above the campground and sunlight reflects off the water, creating a picturesque location for outdoor fun. Making a reservation is simple with the online system that lets you choose a water/electric RV spot or a tent site. Just enter some basic information and you'll soon be on your way. 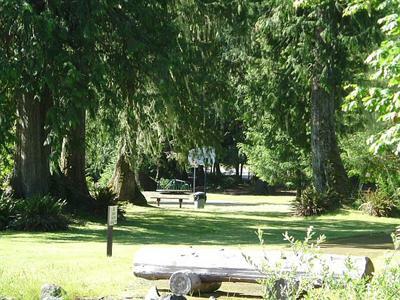 A major attraction of the area is the spectacular Olympic National Forest. About 25 miles from Mason Lake Camp, the forest contains rain forests, deep canyons, high mountain ridges and ocean beaches. Hikers will discover more than 250 miles of trails, and mountain bikers can pedal on challenging routes. The Olympic National Forest is located on the Olympic Peninsula, which is surrounded by salt water on three sides. Washington's abundant natural resources are on full display elsewhere near Mason Lake Camp. Dig into some shellfish at Twanoh State Park, which features one of the warmest saltwater beaches in Washington. Clam season usually runs from Aug. 1 through Sept. 30 each year, while oyster harvesting goes on all year. 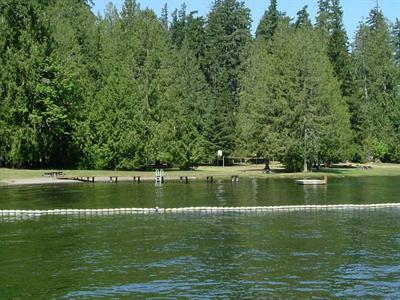 Hiking, fishing, swimming, water skiing and wildlife viewing also entice visitors to the park. Most easily reached by boat, Jarrell Cove State Park offers 3,500 feet of saltwater shoreline, suitable for many types of water sports, clamming and crabbing. 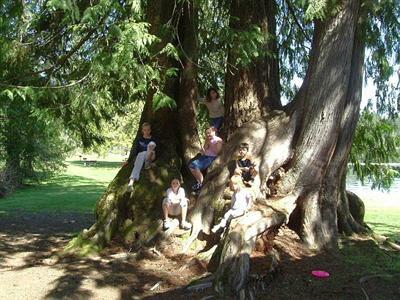 On a trip to Olympia, you can tour the capitol and enjoy the scenery, restaurants and waterfront parks. 8:00 am to 5:00 pm Mon - Sun.